Naveen Namboothri is a founder trustee of Dakshin Foundation and currently serves as its Director. Trained as marine biologist, he has worked in diverse coastal, marine and island systems across India. His engagement cuts across regional, national and local agencies including government and non-government sectors. 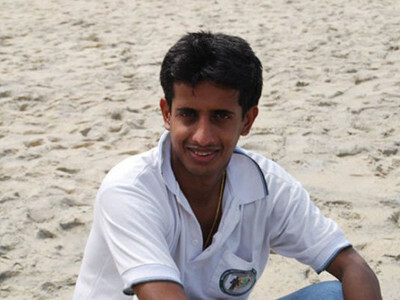 He heads the Biodiversity and Resource Monitoring Programme and oversees the establishment and implementation of several marine conservation projects at Dakshin’s field sites such as the community-led fisheries management in the Lakshadweep, citizen science programmes in the Andamans and the long-term monitoring of coral reef ecosystems in the Andamans. Naveen also helps build Dakshin’s Environmental Education Programme and oversaw the production of the publication Treasured Islands. He has more than 30 publications including peer reviewed journal articles, books, book chapters and reports and has supervised 8 Masters dissertations. He has served on the editorial board of Current Science and is currently an invited member to the Aquaculture and Marine Biotechnology Task Force of the Department of Biotechnology, Government of India. Ph.D in Marine Biology, Centre for Advanced Study in Marine Biology, Annamalai University, Tamil Nadu.